Spring 2018 has set new heat records and summer promises more hot and sticky weather. Before you really crank up the AC, which can be expensive, try some of these tips to stay cool while saving money. This spring has been hot. According to NASA, March and April of this year have been among the top ten hottest on record across the country and May might have been the #1 hottest ever in the U.S., breaking the mark for heat set in the 1934 dust bowl. We all know that spring in Virginia has been a scorcher, where high temperatures were compounded by high humidity. That combination of hot and sticky makes everybody more uncomfortable. So it’s no surprise that homeowners across the state have been running the air conditioning more than usual. That can be very expensive, adding $50 or more each month to the average Virginia electric bill. Since summer just started it’s likely that we’re in for the hot sticky days to keep coming at us for weeks to come. If you keep running the AC at full blast, you can find yourself paying hundreds of dollars extra over the summer. The good news is that there are simple ways to save money while keeping your home comfortable on the hottest and stickiest days. 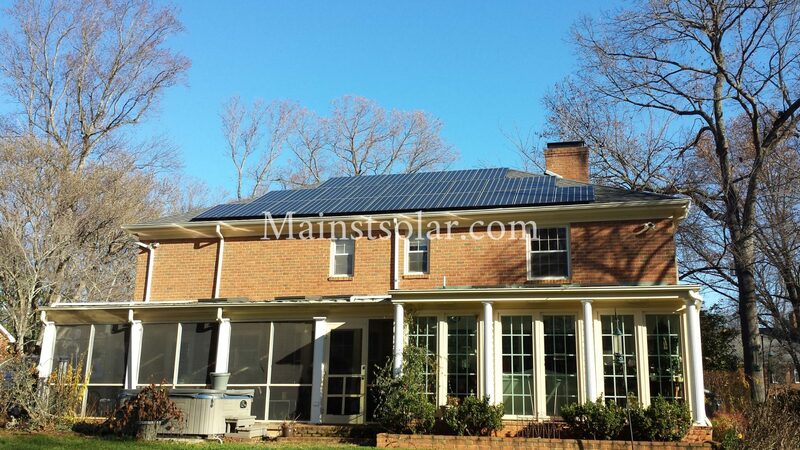 Here are my top ten favorite tips to cut your electric bill this summer in Virginia. Keep the sun out of your house. In the short term, install thick “blackout” curtains on your windows and keep them closed during the day. If you already have decorative curtains installed, you can install the insulating curtains behind your existing curtains to keep the look you want. In the longer term, planting bushes or trees can provide valuable shading, especially on the southern side of your property. Keep hot air out of your house. Make sure your windows are closed during the day, even if you’re not running the AC. You can preserve some of the coolness from the night by keeping your home closed up during the heat of the daytime. Then, if it gets cool enough after dark to do without the AC, open your windows and pull in cool evening air with fans. Use fans. Ceiling fans offer some of the best cooling if you have them installed in important rooms like your bedroom or kitchen. If you don’t have ceiling fans installed yet, consider putting some in. Meanwhile, floor and tabletop fans offer an easy and flexible way to create air flow on your body, which can allow you to keep your room warmer and still be comfortable. Avoid cooking indoors. Unless you use a microwave, most common stoves will create heat that radiates out into your kitchen and warms your whole house. Summer is a great time to try making dinner on the backyard BBQ grill a couple times a week or more. Find lower ground. If your place has more than one level, because heat naturally rises, the bottom level of your home will usually be the coolest. If your bedrooms are upstairs, consider spending as much time before bed as you can downstairs. Replace HVAC filters. Pumping the AC at full blast can make your HVAC air filters get clogged with dust more quickly. Your cooling system will work more efficiently and cool your home at lower cost if your HVAC filters are clean. If you don’t like having to spend money for new ones, then get reusable filters that you can remove, clean and replace. Replace old windows. New energy efficient windows will provide better protection against both light and heat, insulating your home enough to keep more of the cool air in and the hot air out. Insulate your walls and attic. Because heat rises, insulating your attic will really help keep heat inside during winter. But some heat does also enter a home through the roof, which makes attic insulation helpful in summer too. And don’t forget the walls, which can make a bigger difference than you’d think at keeping the summer heat out. Get your AC serviced. Every few years it’s a good idea to have a professional inspect your air conditioning system. The best time to request a service call is in early spring, when the AC contractors are not so busy. But the second best time is now, before you have any problems with your AC system and risk needing an emergency repair. 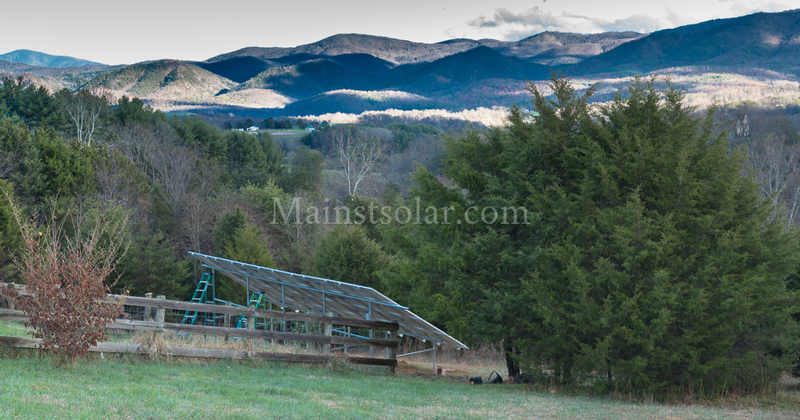 Install solar panels! How could we leave this one out? The best way to run your AC worry free when it gets hot outside is to power your cooling system with clean solar power that you generate yourself. 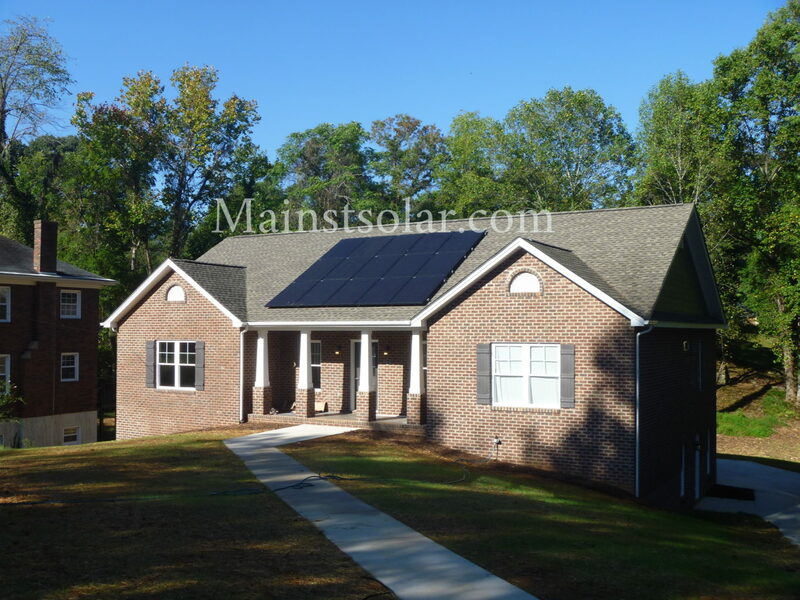 And with enough solar panels, you’ll find that your solar system produces at its maximum just when you need it the most, on long, sunny summer days. 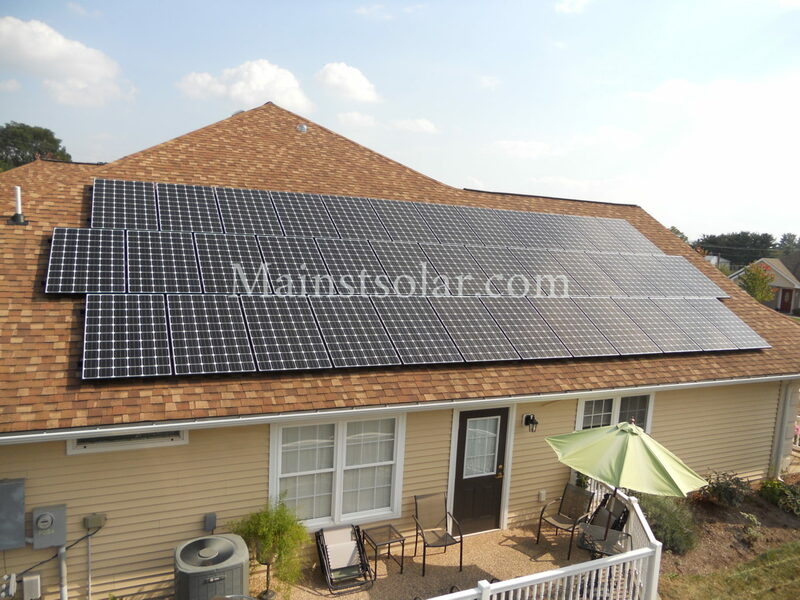 Before we install solar panels, we will inspect a home to make sure you’re solar ready. But we may also come across ways to make the home more energy efficient. Even if it means that we’ll sell you fewer solar panels, if we can, we like to help you use energy most efficiently, to get the most benefit out of going solar. 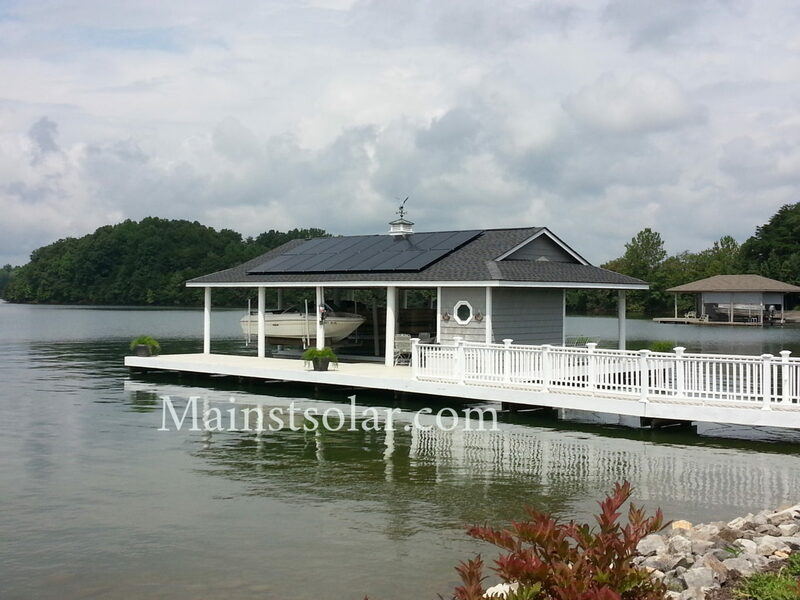 To see if your location qualifies for solar power, and to learn how much you could save on electricity during the hot summer months and all year round, contact Main Street Solar today for a free quote.